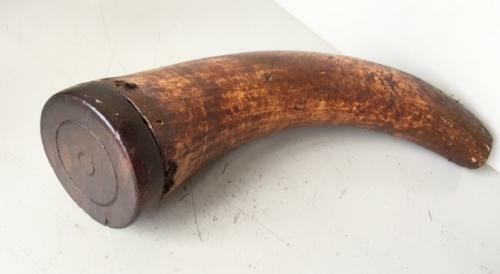 Antique Drenching horn by Arnold & Sons. I can't see where this horn is marked but have had the same design before and know they made them. It is well used. The end is Mahogony or similar. Used on horses, cattle and sheep to administer liquid medicine.